Serum No. 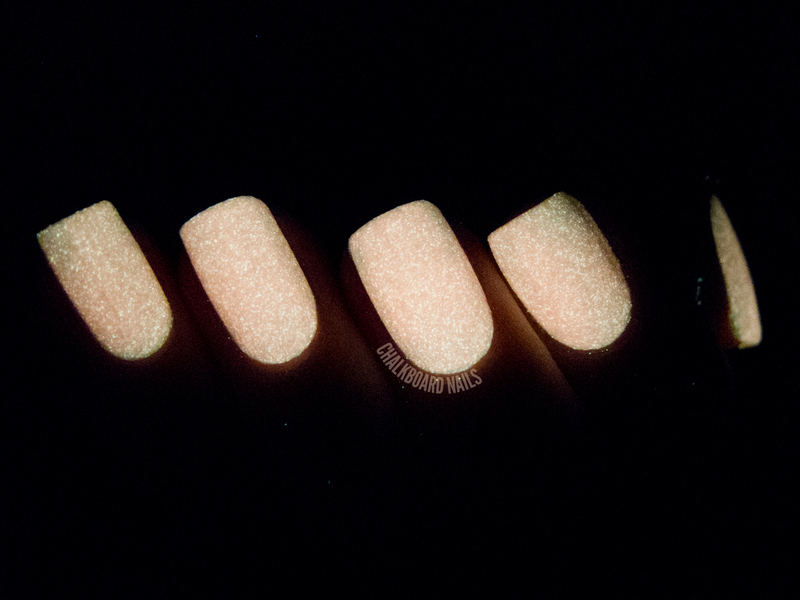 5 is a brand well known for amazing glow in the dark polishes, and this limited edition stunner is no exception. Pink Lantern is a special release for October, and with just over a week left in the month, there's no time to hesitate if it tickles your fancy. 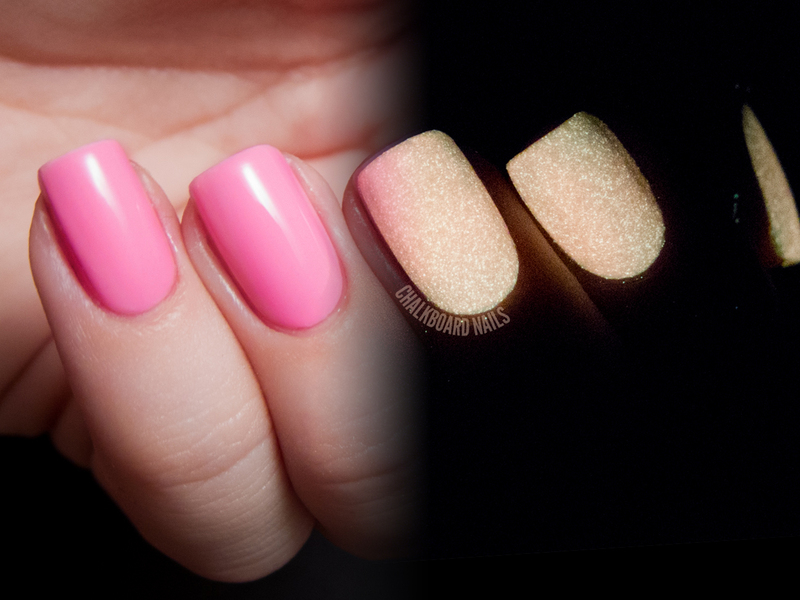 Pink Lantern is a bright Barbie pink creme with a bonus orange glow in the dark effect. This polish is meant both as a representation of Breast Cancer Awareness Month (with its pink hue) and Halloween (with its glow). It has a great formula -- not too thick and not too thin! I used three coats for full coverage here, and it applied evenly and smoothly. It does dry slightly matte with a tiny bit of grit to it due to the glow pigment, but one coat of topcoat evens everything out no problem. The glow is super bright. I charged it up a bit while I was brushing my teeth before bed, and when I woke up in the middle of the night two hours later, I could still see it glowing. Of course the room was pitch black, but that's pretty legit if you ask me! Here is a little preview video/mini-swatch I posted to Instgram a couple of weeks ago! I told Victoria from Serum that she needs to drop everything and focus on a core line of glow in the dark cremes. I think she would just KILL with those! Again, this is a LE product for October, so head over to the Serum No. 5 shop to pick it up if you like it. You can also keep up with the brand on Facebook, Twitter, and Instagram. It's adorable! I love that smooth satin effect, and it's really suprising how it can change between with and without light! Simply magic. omg amazing!!! question, how do you photograph the glow in the dark picture, it's amazing! Super glowy!! I have some polish like that but it doesn't even compare to this strength or longevity. Awesome! I love how you blended those two pics, very smart! I've shared your manicure on http://minailsart.blogspot.com.es/2013/10/marea-rosa-19-de-octubre.html and I'm following you at the moment. Welcome to Chalkboard Nails 2.0!